Read the latest in L&D news for HR practitioners, managers, and Learning and Development specialists. You'll find research done by the findcourses.co.uk staff, tips from the UK's top training providers, and submissions by our readers who work in L&D. Human resources is a fast-changing field, and it’s never been more vital to the development of organisations worldwide. Using new data and technologies, HR has the power to revolutionise work. Read five key areas predicted to shape the profession, and the future of business, in the next ten years. There is no such thing as instant leadership. Leadership is like a plant. It needs nourished and watered and fed to help it to grow. The best leaders recognise that to grow as a leader you must have a thirst for new knowledge, new concepts and new ways of working. Training is seen as something hugely valuable to employees and can go a long way in helping to retain them. Research has shown, for example, that training and mentoring are of a high degree of importance to young managers. But what can you do to measure how this perceived value translates into ROI? Here’s some ideas. A survey by Training Provider MBM of HR Managers, L&D Managers, and Training Officers, predominantly in the UK Grocery Industry, revealed that the top 3 biggest training challenges. Internal training enables professionals to receive training courses that tailors their expertise according to the unique necessities of their respective companies. Professionals do not have to leave their workplaces to receive this training. That saves both time and energy and the training is proven to be more efficient in that way as individuals receive hands-on experience relevant to their career profile. 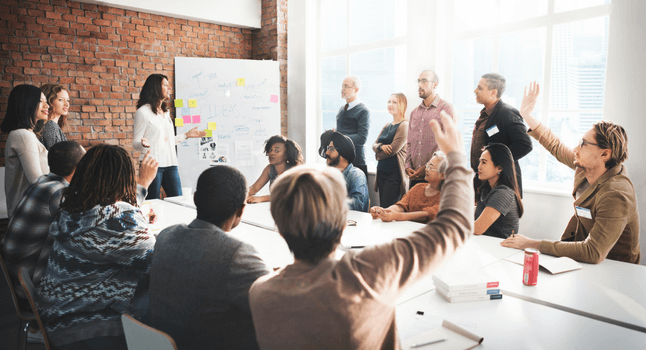 Before arranging internal or in-house training, companies should consider both positive and negative aspects in order to measure the extent of benefits one can receive through this type of training. From healthcare schemes to the treadmill desk, the workplace environment is becoming increasingly health conscious and it could be beneficial to business financial health, not just the employees wellbeing. Over the years organisations have noted high employee turnover rates, absentees due to illness in addition to time off through exhaustion or other health related issues. How can making the workplace environment help an organisation's profitability? 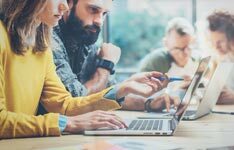 Keep up-to-date with developments in training trends with these 5 premiere UK blogs that will keep you informed on educational technology breakthroughs, learning and development research, and the constantly evolving best-practice for developing employees. Each of these blogs has unique insight to offer - whether you're working in learning and development as an HR professional, deliver training, or take a keen interest in your professional development. Want to keep your team motivated and engaged? Findcourses.co.uk gives you some tips to help you build a learning culture in your organisation. Find out how to encourage your employees to try learning at work, inspire your team and help them develop in their roles. With the UK Government increasingly emphasising the need for young people to develop the skills they need succeed in the workplace, apprenticeships have become a primary area of focus. 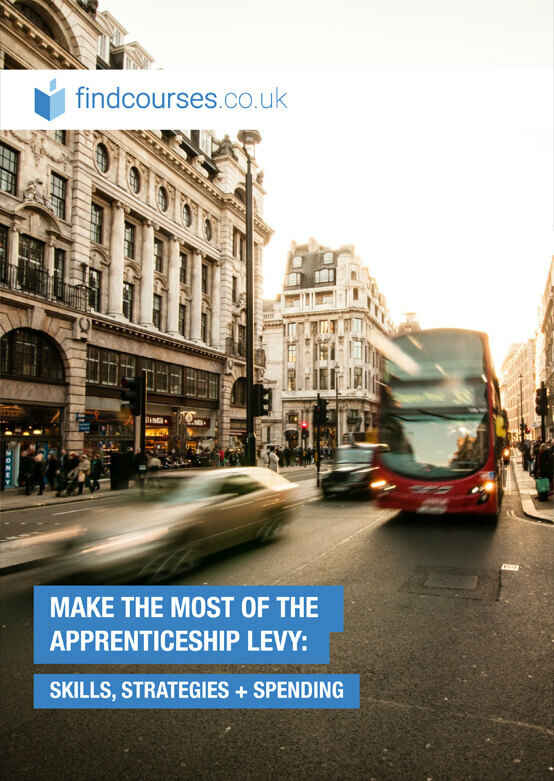 But while the benefits are fairly clear from the apprentice's point of view, what can an organisation hope to achieve with an apprenticeship programme? Here are the top 10 benefits as outlined by key industry players. If you think the performance arts have nothing to do with business, think again. Cat Clancy from City Academy explains why acting skills are really life skills, and how performance-based training can help individuals communicate, influence, negotiate and resolve conflicts. We all know that talent development is a key factor in employee motivation and retention levels, but for smaller companies it can be difficult to invest large amounts in this area. So how can you make sure that your business attracts the talent necessary but then manages to keep it? Here are 5 suggestions. Why does someone decide to work in Learning & Development? What are the aspects of the role that they consider most important and for what reason? We interviewed the winner of our CIPD 2014 competition and got a few insights from an L&D industry insider.